Martin Feely (BSc NUIG, MSc UCD, PhD NUIG) is Professor of Earth and Ocean Sciences at NUIG and is Adjunct Professor of Geological and Environmental Sciences at James Madison University, Virginia, USA. His undergraduate teaching duties at NUIG cover the fields of crystallography, mineralogy, optical mineralogy and petrology. He teaches at James Madison's six week Summer field camp which is held annually in Connemara and is attended by 35 undergraduate and postgraduate Earth Science students from all over N.America. 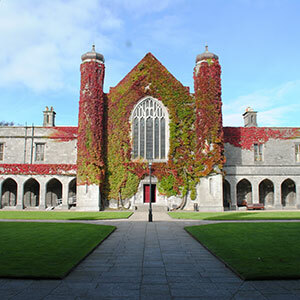 He also directs an NUIG based 4-week summer school entitled Geological and Environmental Aspects of Galway Bay for The William and Mary College, Virginia, USA. He designed (2004) the first Diploma in Scientific Studies (Gemmology) at NUIG, 43 students have graduated since 2004. He has authored/co-authored over 200 scientific articles and papers and has presented his research results at numerous national and international conferences in Europe, Canada & the US. He is a member of the editorial board for the Irish Journal of Earth Science and Earth Science Ireland magazine and he regularly reviews articles for numerous international journals and grant applications. He established the Geofluids Laboratory, unique to NUIG, in 1990 which has attracted significant funding from national science agencies and from the oil exploration sector. He also was the PI in the establishment of the ~€1million Chemical Monitoring Facility on the NUIG campus. His current research interests include:a) the geological evolution of Connemara and trans-Atlantic correlations with Newfoundland and New England b) Hydrocarbon and aqueous fluid inclusion studies in numerous geological settings including the onshore and offshore Irish Massif, the Newfoundland Basin, UK, China and Colombia; Granites of the High Sierras, California c) gemstone studies of Brazilian emeralds d) seaweed bedrock interactions and, e) digital perspectives of the Connemara landscape. He currently supervises/co-supervises 4 PhD students (17 PhDs & 8 MScs have completed under his supervision) and I post doctoral fellow (has supervised 8 postdocs over the years) involved in these areas of research and interacts with other senior researchers on the NUIG campus. He maintains active research and teaching exchange links with several universities in Europe, US (New York State, Maine: Farmington & Orono, N.Carolina & Virginia), Canada and China. He has published several guidebooks on the geology of western Ireland. He sits on three expert panels appointed by the Geological Survey of Ireland's to select Ireland's natural heritage sites (Mineralogy, Economic Geology and Igneous Themes). He is also a member of Galway County Council's Heritage Forum and advises on research and promotion of the county's natural heritage. Current research activities include the study of living microbes in fluid inclusions from Searles lake California in collaboration with Prof Tim Lowenstein (NY State U at Binghamton); Investigating the heat potential of Irelands onshore massif e.g. heat potential of Irish granites (SFI funded project); Arsenic in groundwater wells spatially related to gold bearing quartz veins in western Ireland. (2010) Galway's Living Landscapes (Part 1: Eskers). (2002) Galway in Stone -a geological walk in the heart of Galway. (2004) Towards non-destructive characterization of hydrocarbon bearing fluid inclusions using time-resolved fluorescence(TRF) microscopy. Irish J. Earth Sciences. (2004) An investigation of the Galway Granite in the Kilkieran sector using a variety of digital imaging techniques. Irish J. Earth Sciences. (2004) The distribution and textural variations of feldspar porphyries in the Costelloe Murvey Granite, Connemara, western Ireland. Irish J. Earth Sciences. (2004) Evidence of biomechanical and potential biochemical interactions at the seaweed bedrock interface. 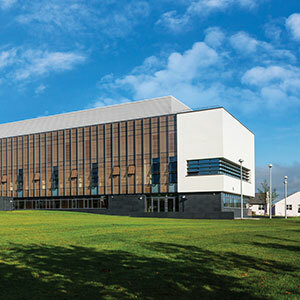 Irish J.Earth Sciences. (2004) ODP Leg 210, drilling on the North Atlantic-what lies beneath?. Irish J. Earth Sciences. (2003) Fingerprinting of crude oils in bulk form and in fluid inclusions, using time-resolved fluorescence microscopy. Irish J. Earth Sciences. (2003) A detailed Study of Feldspar Porphyries spatially related to the Costelloe Murvey Granite, Connemara, W-Ireland. Berichte der Deutschen Mineralogischen Gesellschaft, Beihefte zum (abstract) European Journal of Mineralogy. (2002) Structural and fluid inclusion studies of north-west Connemara, west of Ireland. Irish Journal of Earth Sciences. (2002) Preliminary studies with a diode laser-based fluorescence lifetime microscope: a new measurement methodology for petroleum-bearing fluid inclusions. Irish Journal of Earth Sciences. (2002) Fluid inclusions in granite quartz and vein minerals from the Northern Units of the Leinster Granite. Irish Journal of Earth Sciences. (2002) Fluorescence lifetime measurements of crude oils: toward the in situ characterisation of oil-bearing fluid inclusions. Irish Journal of Earth Sciences. (1987) GEOTHERMAL STUDIES OF THE GALWAY GRANITE WEST OF IRELAND - A REVIEW OF THE GEOPHYSICAL EVIDENCE. (1986) THE SPATIAL-DISTRIBUTION OF HEAT-PRODUCTION OVER THE GALWAY GRANITE, WEST OF IRELAND - EVIDENCE FROM GAMMA-RAY SPECTROMETRY. (1985) THE CALIBRATION AND APPLICATION OF A FIELD GAMMA-RAY SPECTROMETER TO RADIOMETRIC STUDIES OF THE MAIN GALWAY GRANITE, WEST OF IRELAND. (2008) The geological heritage of Galway's Buildings and Walls. Galway Civic Trust, Heritage Week event. (2008) The origin and timing of molybdenite mineralisation systems along the Appalachian-Caledonian orogen: Implications for cross Atlantic correlations. 51th Irish Geological Research Meeting. (2007) The Application of Fluid Inclusions to the Study of Petroleum Systems: Research at NUI, Galway. NAPSA (North Atlantic Petroleum Systems Assessment) Group Meeting. (2007) The Application of Fluid Inclusion Microscopy and Microthermometry to Hydrocarbon Bearing Fluid Inclusions. 30th annual MSI symposium. (2007) Nature and timing of mineralising fluids during the Appalachian- Caledonian Orogeny. ECROFI XIX. (2007) Teaching geology field courses- a West of Ireland Experience. Abstracts and Programs: Geol. Soc. America Annual meeting. (2007) 3D Visualisation in the Lecture Hall - A Real World Challenge. (2007) A Fluid Inclusion and Stable Isotope Investigation of Alteration and Mineralization in the Rosses Granite Complex, Co. Donegal. 50th Irish Geological Research Meeting. (2007) Fluid inclusion studies/ Digital Landscapes/Gemstones/Lithophagous Seaweed. Research Seminar Series, Dept. of Geology. (2007) The geological heritage of the west of Ireland. At Our Western Heritage Conference, Galway Archaeological & Historical. (2006) Geology of stonewalls: an Irish perspective. Inis Oirr (Aran Islands) Symposium on stonewalls, Galway County Council. (2006) Using VRML for 3-Dimensional Interactive Geological Visualisations. 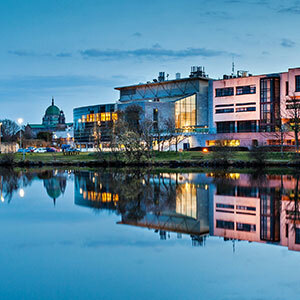 Environ 06: Abstracts of the 16th Irish Environmental Researchers' Colloquium. (2006) A Record of Magmatic and Hydrothermal Fluids in the Irish Crust: Evidence from Caledonian Granites. AGU Joint Assembly, Baltimore. Eos Trans. AGU, 87(36), Jt. Assem. Suppl., Abstract U24A-04. (2006) Carbonic fluid inclusions in the Thorr Granite, Co. Donegal. 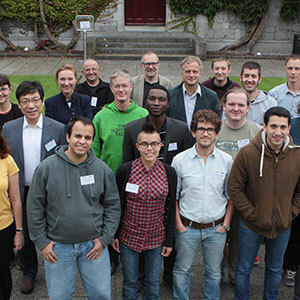 49th Irish Geological Research Meeting. (2006) Connemara's Iconic Folds of Marble: 3D Digital Geological Perspectives for Internet Visualisation. Geological Society of America Abstracts with Programs, GSA Penrose Meeting. (2005) Landscapes in stone: digital perspectives of the geology and natural landscape of Connemara. International Heritage Week 2004. (2005) Contrasting Fluid Signatures from the Caledonian and Tertiary Granites of NE Ireland. Irish Geological Research Meeting. (2005) Geology and stonewalls. Galway County Council Conference: Stonewalls: Future in our past. (2005) Fluids in the upper crust: fluid inclusion signatures from Palaeozoic and Cenozoic granites in the Irish onshore massif. ECROFI XVIII. (2005) A Heritage in Stone: Digital Perspectives of the Natural Landscape of Connemara. 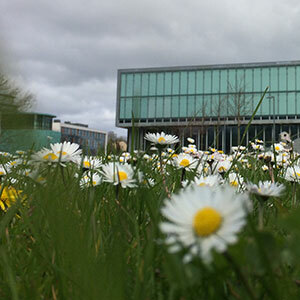 Abstracts of the 15th Irish Environmental Researchers' Colloquium. (2005) Fluid rock interactions in alkaline-carbonatite complexes from Sao Paulo State, Brazil: fluid inclusion evidence. ECROFI XVIII. (2005) Connemara in Stone: heritage education through digital perspectives of the natural landscape. Seminar series, Department of Geography. (2005) Connemara in Stone: Digital Perspectives of the Natural Landscape of Connemara. Irish Geological Research Meeting. (2004) Microthermometry of fluid inclusions from Poços de Caldas Alkaline Massif and Jacupiranga Complex, São Paulo State, Brazil. 32nd IGC. (2004) Fluid inclusion studies: methods and applications. Department of Earth Sciences. (2004) Connemara in Stone: heritage education through digital perspectives of the natural landscape. Galway County Heritage Forum. (2004) Geologic perspectives of the Irish landscape. White Mountains Research Station. (2003) Tales of Prehistoric Tropical Seas and Shellfish from the Limestones of Clarinbridge. Clarinbridge Oyster Festival, Lecture Series. (2002) Limestones from the tropics -the geological history of the Tuam area. The Old Tuam Society. (2002) A fluid inclusion study of vein quartz and clastic quartz from the north-west part of the Connemara metamorphic complex, Ireland. Tectonic Studies Group annual meeting. (2001) Fluid inclusion studies of borehole core material from the Porcupine Basin, Offshore Ireland. Porcupine Studies Group Meeting, PIP Group 3, Petroleum Affairs Division, Beggars Bush Dublin. (2000) Fluid inclusion studies of borehole core from the Rockall margin's OBDP. Rockall Studies Group Meeting, Geological Survey of Ireland. (1999) A review of hydrocarbon bearing inclusions in vein minerals from the onshore and offshore sectors of the Irish Massif. Conference on Hydrocarbon-bearing inclusions in crustal rocks--study methods, applications and case histories. Mineralogical Society of Great Britain & Ireland. (1999) The application of hornblende geobarometry to studies of syn-emplacement uplift in the Galway Granite. Irish Geological Research Meeting. (1999) The geological setting of the Knocknagreana magma mingling-mixing zone in the Galway Granite. Irish Geological Research Meeting. (1998) Geological investigations to the west of the Barna Fault Zone, Galway Granite. Annual Irish Geological Research Meeting. (1998) Post- Carboniferous fluids in Connemara and their possible relationship to rifting. Post- Carboniferous Geology Meeting. (1998) Single zircon age ages and Sm/Nd isotope analysis of the Galway Granite Batholith, Western Ireland. Annual Irish Geological Research Meeting. (1998) Fluid inclusion studies of the Leinster Granite, SE Ireland, and its quartz veins. Annual Irish Geological Research Meeting. (1998) Studies of the Shannawona Fault Zone within the Galway Granite Batholith. Annual Irish Geological Research Meeting. (1997) The late-Caledonian Galway Batholith, western Ireland: a subduction enriched post-collisional granite. Irish Geological Research Meeting. (1997) Simulating U. Triassic granite-hosted base metal deposition by fluid mixing; Galway granite, Connemara, Ireland. Joint Metamorphic Studies Group & Applied Mineralogy Group Meeting. (1997) Upper Triassic granite-hosted base-metal deposition related to rifting? Testing palaeo-hydrology in the Galway Granite W. Ireland. Dave Johnston Memorial Meeting. (1997) Fluid inclusions studies of minerals from the Irish onshore and offshore massif . Statoil research seminar. (1997) Fluid inclusion and stable isotope evidence for Triassic fluid mixing in Connemara, Ireland. Mineral Deposits Studies Group. (1997) The Costelloe Murvey Granite- an ordinary leucogranite with a penchant for the extraordinary. Irish Geological Association Lecture. (1997) The Galway Granite and its oddities at outcrop and regional scale. Research Seminar, Scottish Universities Research Reactor Centre, East Kilbride, Scotland. (1996) Fluid inclusion study of the Kentstown Granite and its cover rocks. Annual Irish Geology Research Conference. (1996) Fluid inclusion and stable isotope evidence for Triassic fluid mixing in Connemara, Ireland. Stable Isotopes Research Group, CREGU. (1995) Contact relationships and emplacement chronology of the Galway granite west of Spiddal. Annual Irish Geological Research Conference. (1995) Mysterious orbs from the Galway Granite. Annual Irish Geological Research Conference. (1995) The Galway Granite. Connemara Reunion Conference. (1995) Microthermometric and laser Raman microprobe characterisation of fluid in W-Sn-sulphide veins in Caledonian microtonalites on the SE margin of the Leinster granite. Annual Irish Geological Research Conference. (1995) Nondestructive analysis of single fluid inclusions using laser Raman spectroscopy. Annual Irish Geological Research Conference. (1994) Orbicular granite from the Mo-Cu mineralised zone in the Galway Granite at Mace Head, Co.Galway, Ireland. Mineral Deposits Studies Group, Annual Conference. (1994) Characterisation of fluid inclusions in W-Sn-Sulphide mineralisation hosted by Caledonian microtonalites on the SE margin of the Leinster Granite, Ireland. Mineral Deposits Studies Group, Annual Conference. (1993) An overview of current geological research activity at UCG on the Galway Granite. Connemara 1993 Discussion Meeting. (1993) Connemara Geotraverse 1: a geophysical traverse from Maam Bridge southwards to Galway Bay. Connemara 1993, Discussion Meeting. (1993) Evolution of hydrothermal fluids in the Galway Granite. Irish Geology Research Meeting. (1993) Age and origin of fluorite minerlaization in the Costelloe Murvey Granite, Co. Galway. Irish Geology Research Meeting. (1993) Fluid inclusion studies: Applications and methods. Joly Society. (1993) Age and origin of fluorite mineralization in the Costelloe Murvey Granite, Co. Galway. Connemara 1993, Discussion Meeting. (1993) A fluid inclusion and stable isotope study of hydrothermal fluid evolution in the Galway Granite. Connemara 1993, Discussion Meeting. (1993) Fluid inclusion studies of Variscan veins from the Irish Carboniferous. Irish Geology Research Meeting. (1993) Magma mixing and mingling in the Galway Granite. Connemara 1993, Discussion Meeting. (1992) Fluid inclusion and stable isotope studies of hydrothermal fluids, Connemara, Ireland. Mineral Deposits Studies Group. (1992) Fluid inclusion studies, REE chemistry and age of hydrothermal fluorite mineralization from western Ireland: a link with continental rifting. Conference on Mineral Deposit Modelling in Relation to Crustal Reservoirs or the Ore-forming Elements. (1992) Fluid inclusion studies of hydrothermal activity in the Galway Granite. Mineral Deposits Studies Group. (1992) Fluid inclusion studies and REE chemistry of hydrothermal fluorite mineralization from the Galway Bay area, Ireland. Pan-American Conference on Fluid Inclusions. (1992) Fluid inclusion microthermometry of Variscan quartz veins from the upper Carboniferous of SW Co. Clare, Ireland. Pan-American Current Research on Fluid Inclusions. (1991) Greisenisation of an evolved high heat production alkali leucogranite in the Galway Granite, west of Ireland. Irish Geological Research Meeting. (1991) What can fluid inclusions tell us ? Applications and methods. Research Seminar Series. (1991) Greisenisation of a HHP leucogranite in the Galway Granite, west of Ireland. Central Institute for Physics of the Earth. (1990) Diorite-granite magma interactions in the Galway Granite. Field and petrographic evidence from the Costelloe and Spiddal areas. Connemara 1990. Discussion Meeting. (1990) Geological, fluid inclusion and stable isotope studies of Mo-mineralization in the Galway Granite Ireland. Mineral Deposits Study Group. (1990) Preliminary fluid inclusion studies of the Mace Head Mo-Cu deposit in the Galway Granite. Irish Geological Research Meeting. (1990) Factors controlling the distribution of REE and U and Th in the Galway Granite. Irish Geological Research Meeting. (1990) Application of fluid inclusion microthermometry to the study of the thermal history of Carboniferous rocks in Co. Clare. Irish Geological Research Meeting. (1990) A review of the geology and mineralization of the Galway Bay area. Irish Geological Research Meeting. (1990) Hydrothermal fluid evolutionary trends from the Mo-Cu bearing quartz veins in the Galway Granite, western Ireland. Pan-American Conference on Current Research on Fluid Inclusions. (1990) Composition and evolution of hydrothermal fluids in the Burren area. Irish Geological Research Meeting. (1990) Diorite-granite magma interactions in the Galway Granite- Field and petrographic evidence from the Costelloe and Spiddal areas. Irish Geological Research Meeting. (1990) Fluid inclusion studies of Mo-Cu bearing quartz veins at the western end of the Galway Granite. Connemara 1990. Discussion Meeting. (1989) The geology of Connemara Marble. Connemara Marble Industry Meeting. (1989) Application of fluid inclusion studies to granite hosted mineralization. Geological Society. (1989) The fractionation of REE during the magmatic evolution of the Galway Granite, Connemara, Ireland. Irish Geological Research Meeting. (1989) Fluid inclusion studies of a potash -feldspar breccia in the Galway Granite. European Current Research on Fluid Inclusions Conference. (1989) The anatomy of the Galway Granite. Irish Geological Association. (1989) The study of fossil fluids in the geological environment. Geological Society. (1988) Current research at UCG on the Galway Granite and a review of the Banded Zone in this granite. Connemara Discussion Meeting. (1988) Thermometric analysis of fluid inclusions-preliminary results from the Galway Granite. Irish Geological Research Meeting. (1988) Geology of Irish Granites with special reference to the Galway Granite. The Institute of Petrology. (1987) Evidence for hydrous potassium and silica rich fluid activity at the Mace Head Mo-Cu stockwork deposit in the Galway Granite. Irish Geological Research Meeting. (1986) Juxtaposition of foliated and non-foliated plutons in the Galway Granite: implications for the rate of generation, ascent and emplacement of granite magmas. Annual Irish Geology Research Conference. (1986) A potash feldspar breccia from the molybdenite stockwork deposit, Galway Granite, Western Ireland. Mineral Deposits Studies Group. (1986) Radiothermal studies on the Galway Granite. Joly Society, Trinity College, Dublin. (1984) Results of a gamma-ray survey on the Galway Granite. Irish Geological Research Meeting. (1983) Geology, geochemistry and geophysics of the Murvey granites in the Galway Granite. Irish Geological Research Group Meeting. (1975) The Ballyneale volcanic rocks at the SE end of the Leinster Granite. The Irish Geological Research Group Meeting. (2004) Accurate and precise Re-Os molybdenite dates from the Galway Granite, Ireland. Critical comment on Disturbance of the Re-Os chronometer of molybdenites from the late-Caledonian Galway Granite, Ireland, by hydrothermal fluid circulation by Suzuki et al., Geochemical Journal, 35, 29-35, 2001. (1990) CONNEMARA 1990 - REPORT ON A DISCUSSION MEETING ON THE GEOLOGY OF CONNEMARA, WESTERN IRELAND. (2007) Geofis. Geo-multimedia for second level geography. CD-Rom, funded by Geography Support Service, Galway County Council and Heritage Council. (2006) A geological guide to the granites of the Galway Batholith, Connemara, western Ireland. Geological Survey of Ireland, Fieldguide Series. (2005) Galway County in Stone. The geological heritage of Connemara. Series 1: Twelve Bens. CD-Rom, funded by Galway County Council and Heritage Council. (2004) Geology of Galway Bay: A geological description to accompany the Bedrock Geology 1:100,000 Scale Map Series, Sheet 14, Galway Bay. Geological Survey of Ireland. (1998) Natural building stones in Galway City. Irish Geology Week- Guide GC1. (1997) Mineral localities in the Galway Bay Area. Geol. Surv. Ireland. Special Report Series. RS/97/1(Mineral Resources) , 70p. & 1:150,000 Geological and Mineral Localities Map of the Galway Bay Area. (1988) A visit to Clements mine in South Connemara. Irish Geology Week- Guide GG. (1983) The main Galway Granite. Geological Guide to the Caledonides of the Western Ireland. Geological Survey of Ireland Guide Series. (1993) A multielement study of hydrothermal fluids in the Galway Granite using ICP (Inductively Coupled Plasma) analytical techniques. Ireland-U.K. Exchange of Research Personnel 1992. special publication. (1993) An SEM study of solid phases in fluid inclusions from the rocks of the Galway Bay area. Ireland-UK Exchange of Research Personnel 1992. (1984) Geological setting- the Irish Carboniferous. Equilibrium temperature and heat flow density measurements in Ireland; Final report to the Commission of European Communities (EG-A-I-022-EIR.). (2003) Adult education course is a gem in the emerald isle!. Gem and Jewellery News. (2002) A review of fluids in Irish late-Caledonian Granites. In: (Stanley, G. ed.) Basement Controls on Mineralization in the Irish Orefield. Weekend Course 2002, Irish Association for Economic Geology. (1999) Report on Spring meeting Galway, Ireland- Hydrocarbon bearing inclusions in crustal rocks. Mineralogical Society Bulletin. (1999) Hydrocarbon bearing inclusions in crustal rocks: study methods, applications and case histories. J. Petroleum Geology. (1997) A fluid inclusion and stable isotope study of 200 Ma of fluid evolution in the Galway Granite, Connemara, Ireland. (1997) The James Mitchell Mueum, University College, Galway: a regional geology museum for the west of Ireland. Mineralogical Society Bulletin. (1997) The James Mitchell Mueum: a geological time capsule in the quadrangle of University College Galway. 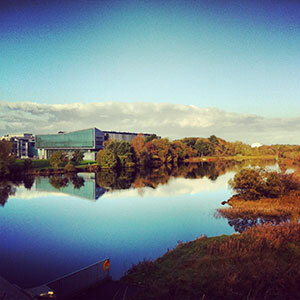 Cois Coiribe, University College Galway. (1996) The IAEG/IAP M.Sc. Programme. Irish Assoc. Economic Geology, Annual Review. (1996) Fossil fluids and their role in the generation of mineral and hydrocarbon deposits. Irish Scientist Year Book, Samton Ltd.
(1995) UCG laser focuses on fossil fluids. Annual Review, Irish Assoc. for Economic Geology. (1993) The new school wall at Moycullen National School-A perspective on time. 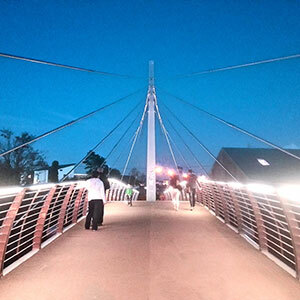 Moycullen Matters. (1992) Fieldtrip report : The Proterozoic geology of NW Mayo. Irish Geol. Assoc. Newsletter. (1990) The Eleanor Miles mineral collection in the James Mitchell Museum, University College Galway, Ireland. Annual Review, Irish Assoc. Econ. Geol. (1988) Thermometric analysis of fluid inclusions in the Galway Granite, western Ireland-a preliminary study. Irish Assoc.for Economic Geology Ann. Rev. (1987) A review of building stones in Galway City. Irish Assoc. Econ. Geol, Annual Review. (1973) Geologically-based resources of the west of Ireland. Crystal.